“Getting sweaty palms over big lifts? GET YOUR GRIP! This handy dandy keychain attachment has your back. 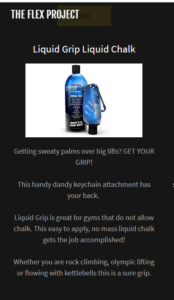 Liquid Grip is great for gyms that do not allow chalk. 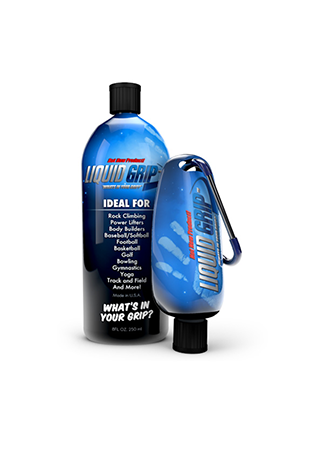 This easy to apply, no mess liquid chalk gets the job accomplished!